Prayer changes things-and this practical guide offers both solid biblical reasons to pray, along with specific prayer starters in 21 key areas of a woman's life. 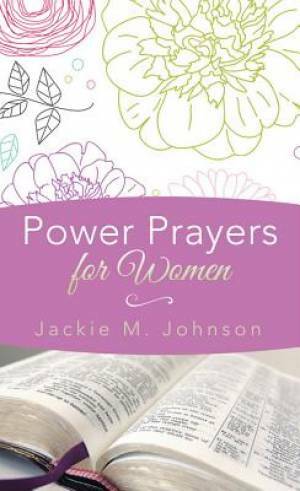 Power Prayers For Women by Jackie M. Johnson was published by Barbour in June 2012 and is our 6463rd best seller. The ISBN for Power Prayers For Women is 9781616269487. Be the first to review Power Prayers For Women! Got a question? No problem! Just click here to ask us about Power Prayers For Women.